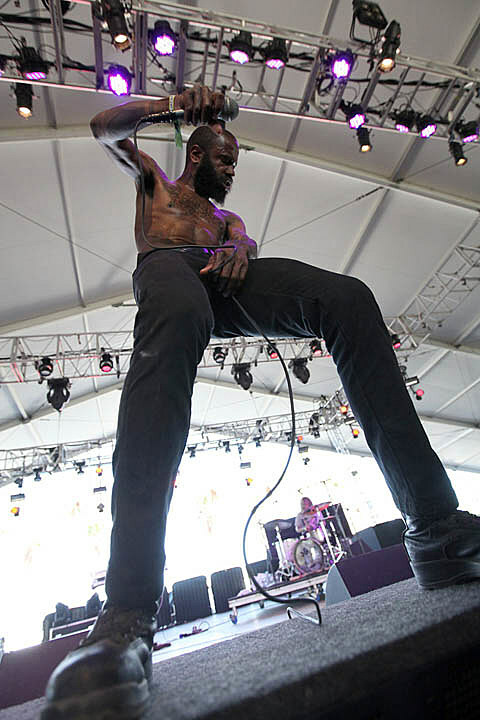 Death Grips‘ Twitter and Facebook states that the trio are “dropping out to complete our next album NO LOVE. see you when it’s done. (there are no longer any scheduled shows).” No Love is set to arrive in the fall via Epic. There is no official word on the tour cancelation and in fact, their Chicago show at the Bottom Lounge on June 20 is still on sale.